Volvo introduced the second-gen Volvo V60 last week. Based on the all-new mid-size estate, X-Tomi Design and Theophilus Chin have created renderings of the next-gen Volvo S60. The 2018 Volvo S60 will likely have a fusion of the Volvo S90 and the 2018 Volvo V60's design. The next-gen Volvo S60 will have a front-end completely identical to that of the latest Volvo V60, comprising LED headlights with T-shaped Thor’s Hammer light signature and a concave upper grille, in a design inspired by that of the Volvo P1800 and housing the latest Volvo Iron Mark logo. On the sides, the next-gen Volvo S60 should have strong, smooth curves emphasizing its athletic nature. While renderings from both the artists rightly suggest longer rear windows for improved visibility, it is the X-Tomi Design’s depiction that looks closer to production to us, as it has the quarter glass designed closely to that of the Volvo S90. At the rear, the all-new Volvo S60's tail light and boot lid setup is likely to mimic that of the Volvo S90. 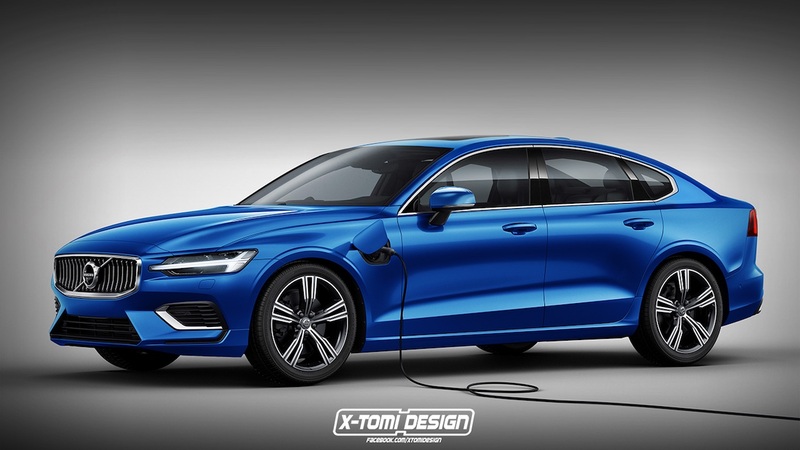 The rendering shows a slightly different interpretation of the S90’s tail lamps in S60, sans the C shape, in a similar fashion as in the current S60, but includes C-shaped light signature. The rest is nearly identical to that of the executive saloon, including the wide-spaced “Volvo” lettering between the tail lamps, the sporty bumper, and the trapezoidal exhausts. The 2018 Volvo S60 will arrive by mid-2018. The interior of the 2018 Volvo S60 is likely to be entirely identical to the 2018 Volvo V60's, with the same design and equipment on offer. The SPA platform-based mid-size cars are expected to share the same set of conventional 2.0-litre T5 and T6 petrol and 2.0-litre D3 and D4 diesel engines as well as the T6 Twin Engine and T8 Twin Engine plug-in hybrid systems. The 2018 Volvo S60 will arrive by mid-2018 (May-August 2018), Hakan Samuelsson, President and Chief Executive Officer, Volvo Cars, has confirmed. Its production will take place at the new plant in Charleston, South Carolina in the USA.